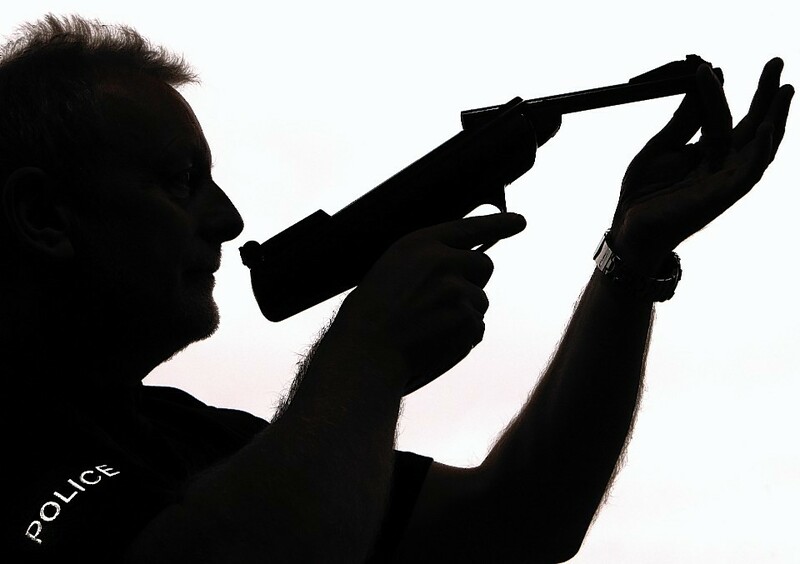 A leading figure in the Scottish air gun and pistol lobby has dismissed a call to toughen up licensing legislation as “pointless”. MSPs want to see some sort of unique marker to link each air weapon with its owner in order to help the police tackle criminal abuse. The proposal is put forward today in a stage one report by the Scottish Parliament’s local government and regeneration committee into the Air Weapons and Licensing (Scotland) Bill. While the type of marker is not specified, it is assumed it will be the rifle’s or pistol’s serial number. However, many imports do not have serial numbers. Graham Ellis, chairman of the Scottish Air Rifle and Pistol Association, said the proposed legislation was undeliverable because it placed an intolerable burden on police firearms officers who would be responsible for vetting licence applicants. Mr Ellis, of Newmachar, Aberdeenshire, who sat on the government’s consultative panel, said: “Stamping air weapons and making them attachable to an individual is a pointless exercise. “If you license the individual what is the point of stamping number on pieces of equipment when your legitimate users will be happy to do that while the illegitimate stuff will still be about with no numbers attached. Committee convener, Aberdeen Central SNP MSP Kevin Stewart said: “There is no doubt air weapons are dangerous. Recently a rail worker and a fire fighter were shot as they carried out their jobs and this kind of incident happens far too often. The committee has also recommended that Police Scotland should be given a degree of latitude in the roll out of the certificate system to address future application peaks and troughs. It also said the government should ensure the bill does not prevent sales by Scottish businesses to people who live in other parts of the UK.